■ You typically need two forms of ID, at least one of which is a picture ID. A driver's license, a passport, and a military ID are all valid. ■ The testing center is probably just an extra room inside the offices of a company that does something else for its primary business. Often training companies are also testing centers. The proctor usually has other responsibilities besides monitoring the exams. The proctor seldom enters the testing room, other than to bring in another person who has an exam scheduled. So, do not worry about someone staring at you and making you nervous. However, most testing centers do have video cameras for monitoring—just because you cannot see them, it does not mean that they are not watching. ■ You will need to turn off all electronics that you bring with you—phone, pager, and secret decoder rings. I typically just leave them in the car. They may ask you to leave your pager or phone at the front desk as well. ■ You cannot bring any of your own paper into the room, either. The proctor will give you something to write on, either paper or a dry-erase board and marker. In either case, you should return these to the proctor when you are done. survey before the exam as well, just to gather demographic information about who is taking the exam. If you've never taken a Cisco exam, take the extra few minutes to take the practice test, just to get completely comfortable with the environment. ■ You can actually write on your scratch paper before the exam begins, if you like. For instance, some people like to write down the list of all the valid subnet masks, the corresponding prefixes, and possibly even the binary equivalents for the decimal numbers used inside subnet masks. I've heard of some people writing down hard-to-memorize information that they were cramming for in the lobby of the testing center! Personally, I do not find it helpful to write down the hard-to-memorize things right before the exam begins, but for some people, it does help. Many people find it helpful to write down the subnetting information just mentioned. ■ The exam engine does not let you go back and change an earlier answer. So, read each question thoroughly and read every answer thoroughly. When you move on to the next question, you can't go back. ■ Some questions require that you drag and drop the answers into the correct slots in an answer area. Exam question writers like to use this type of question for lists or sequences in particular. Like all questions, you can answer and then change the answer, as long as you have not moved on to the next question yet. For drag-and-drop questions, many people benefit from moving the answers they are confident about into the (presumably) correct place, and then they fit in the others in; a lot of times, that helps complete the answers correctly. Just don't forget, when you move on to the next question, you can't go back! ■ For simulated lab questions, you should go back and confirm that any new configurations are working. 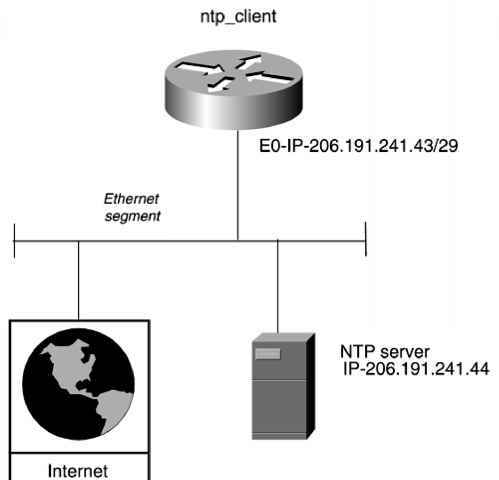 For instance, if the question asks that you configure RIP, but you do not see any routes when you use a show ip route command, then you have not finished the question correctly. The simulator used on the exam does work so that the show commands reflect what should actually be happening. Many of the simulated lab questions require that you configure something, but it will also be helpful if you know the pertinent show commands to verify the correct operation. Also, just for good measure, save your configuration unless the question tells you not to. That's a long list, but hopefully it will help you prepare for taking the exam. The most important tip is to simply relax. A good night's rest is better than a night full of cramming for most people. ■ Turn off your electronics before going to the exam room.